Shelby Wooley was born just outside Erick on April 10, 1921. His father, Bill, was a farmer who sang bass in gospel quartets and played fiddle. By his teens, young Sheb was riding in local rodeos as well as performing there with his Plainview Melody Boys, also working in the oil fields. 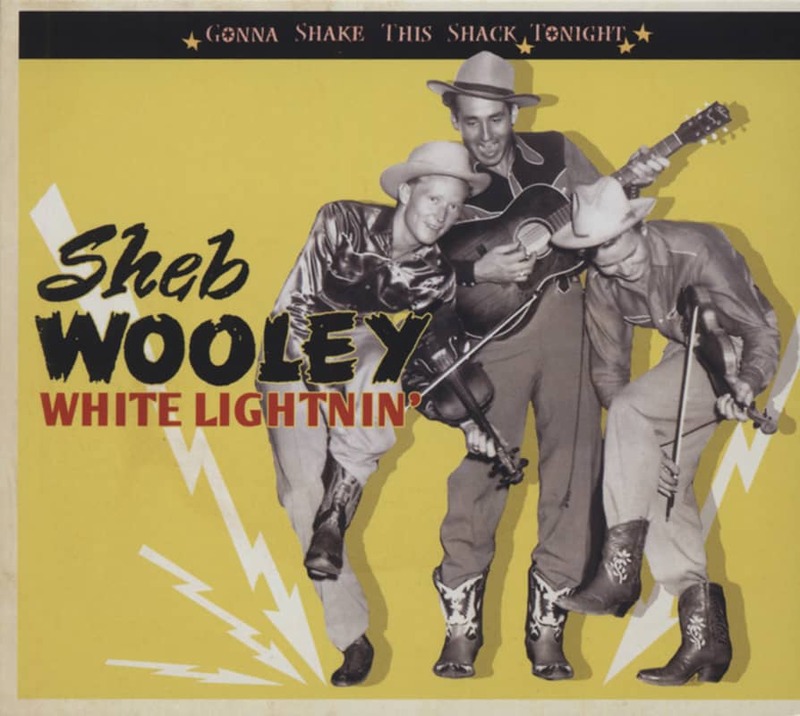 While cocking an ear to the country sounds that were coming from Nashville, Chicago and points East, Sheb was clearly drawn to the Western swing sounds of Texas and Oklahoma. By 1945, he'd married Roger Miller's older sister, Melba; spent a while in a California orange packing plant; and, sidelined from military service by an old riding injury, worked in a World War II defense plant. Moving to Nashville, then developing as a center of the country music industry, he performed for 'exposure' – promoter talk for without pay – on WLAC; performed around the area; and cut for the local Bullet label. Owner Jim Bulleit had formed a troupe that performed through the Carolinas, Alabama, Georgia and Tennessee, and names Sheb road manager. After an unrewarding year – and money disputes with Bulleit - he moved to Ft. Worth, Texas. Sheb got a radio show sponsored by General Foods' Calumet Baking Powder, whose logo was an American Indian chief. And, he recorded some sides, among them an answer to the current hit Jole Blon, for the local Bluebonnet label. Los Angeles-based musician and A&R man Cliffie Stone heard Peepin' Through A Keyhole Watchin' Jole Blon, and cut his own hit version, and there was another cover, by Johnny Tyler for RCA Victor. Looking to negotiate a new contract, General Foods brought Sheb to New York City, where he immediately contacted RCA's Steve Sholes. The man who would later bring Elvis to RCA didn't sign Sheb, but Wooley told Kevin Coffey that it was in the hall outside Sholes' office that he met Jean Aberbach, co-founder of the Hill & Range music publishing company; who (condensing the story a bit) arranged for Sheb to be signed to M-G-M Records, which released a session cut in Texas and financed by the publisher. Wooley returned to California; ostensibly hoping to find a place in the movie industry, but doubtless aware of the major country music scene developing in the area. 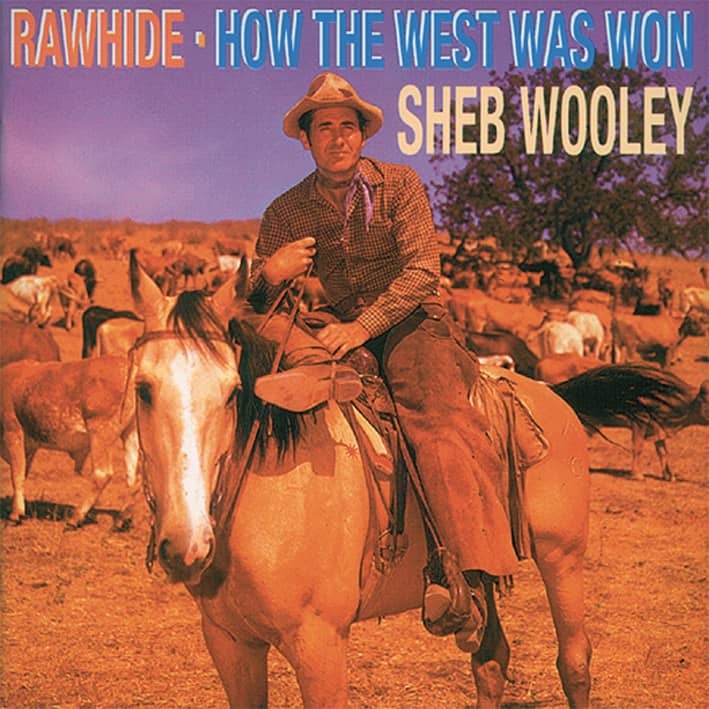 "I was raised on a ranch," Wooley explained to 'Los Angeles Times' writer Don Alpert in 1960, "and I went into town on Saturdays to see the movies. They were all western films, and I think it became indelible in my mind that I could do that, too. "Actually, I came out to be a singing cowboy, but when I got here in 1950 [sic] they didn't want any singing cowboys, even if you had your own guitar." Several small roles followed, but his first real break came when he appeared in 'High Noon.' The film was a big production: produced by Stanley Kramer's company, written by Carl Forman, directed by Fred Zinnemann, and starring Gary Cooper, Thomas Mitchell, Lloyd Bridges and Grace Kelly. Sheb's was another relatively small part – brother of Frank Miller, leader of the outlaw gang faced down by Cooper - but he didn't go unnoticed, especially back home. Recalls Erick-born songwriter Michael Smotherman "Roger Miller told me that the marquee of the theater in Erick said 'High Noon, Starring Sheb Wooley'." Sheb's other film credits were many, but particularly notable titles included'Little Big Horn,' 'The Man Without A Star,' 'Giant,' and 'Rio Bravo.' Roger Miller and Sheb remained close through the years, says Smotherman, who for some time played piano in Miller's band. "Sheb [who played fiddle as well as guitar] got Roger started on the fiddle. Later, he was going to follow Sheb out to Hollywood to be an actor; but when that didn't work out, Roger came to Nashville and became what he became." 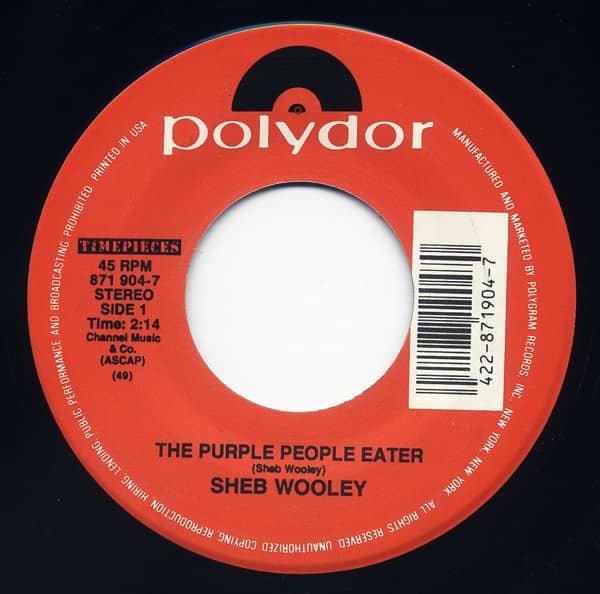 Customer evaluation for "The Purple People Eater - I Can't Believe 7inch, 45rpm"